I was approached by Vegas.com to join forces with them and The Cosmopolitan Hotel Las Vegas to style a few looks that transition throughout the day. If you've never been to Las Vegas, what're you waiting for?! 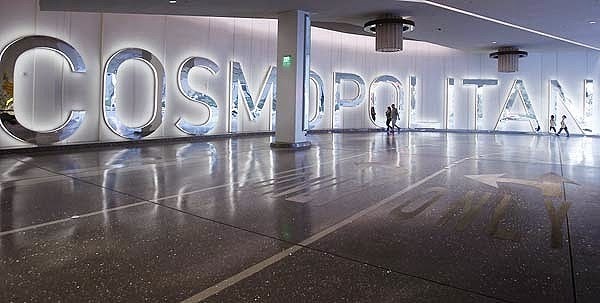 Get on the next thing smoking and have the time of your life at The Cosmopolitan Hotel. No lie, the hotel is literally like a mini Vegas.. Some of their many features include a casino, three pools, a full service spa & salon, a shopping mall, 10+ restaurants, and plenty of bars & nightclubs to choose from. I've styled three different sets of looks for a full day of fun at the Cosmopolitan. To help me brainstorm, I put together a faux-itenaray for the day. Brunch at The Henry followed by a little shopping in the Afternoon, some gambling at the Blackjack tables and Dinner at STK in the evening, then a night out at Marquee Nightclub.